How Much is Lionel Messi Really Worth? I have said it before and I will say it again. Lionel Messi is flat out the best player in all of the world. End of the discussion. Messi brought home the first ever treble for Spain’s La Liga and the forward won the Champions League Player & Forward of the Year awards and also the LLTO Player of the Year to name a few of the most coveted trophies in his case at home. 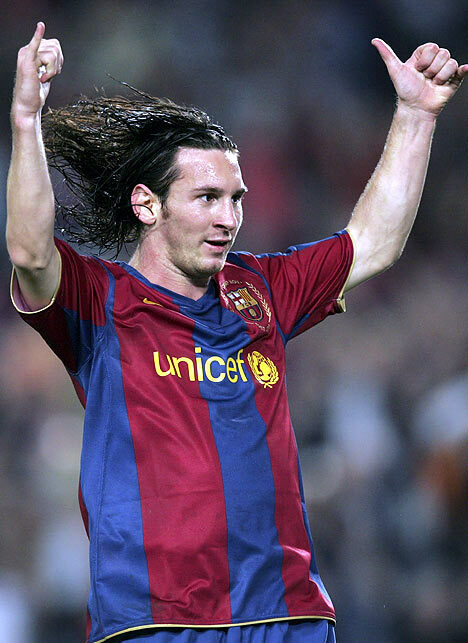 Messi is worth so much to Barcelona that they recently locked up the star player for nearly a decade and for nearly a franchise owning fortune. Messi’s deal runs out in 2016 and the 250 million euros needed for a release clause likely guarantees that the forward will be around Barcelona for most of his football career. Many have questioned this move by the champions though and are wondering if the deal is simply too long all together. I’m not in favour of long contracts and that’s what Barca signed with Messi. I prefer renewing for three or four years. The player, whoever he is, needs a motivation to continue growing. And I, as a club, would always look to go ahead improving something year by year if he deserves it. The club did it for the old fear of in case the bogeyman came and took him away. But if he comes so what? There are many and yes they can come and they will continue to come. There are many, but there is only one Lionel Messi.